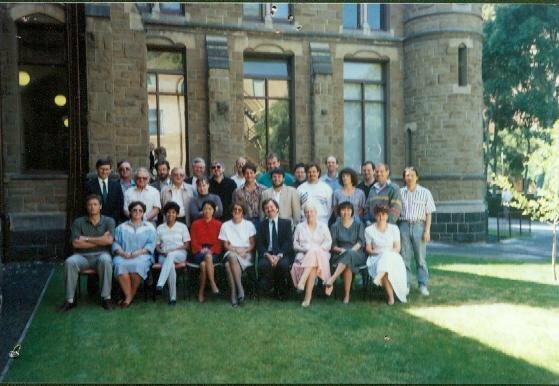 Australian CGE modelling began 40 years ago in the Menzies Building at Monash University. CoPS continues that tradition today with some of the original personnel. 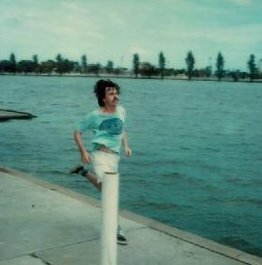 But during that 40 years, the modelling team has moved between institutions and locations. Here is a brief summary of that story. Hover mouse over pictures for description, or click for larger version. 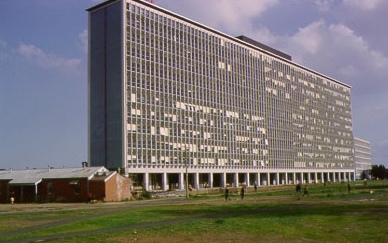 In 1965 Alan Powell joined Monash University, then only half-built. He had completed a post-doctoral fellowship in Chicago, and came from a background of agricultural economics. In 1968 Powell became Foundation Professor of Econometrics at Monash, building that department to a leading position. 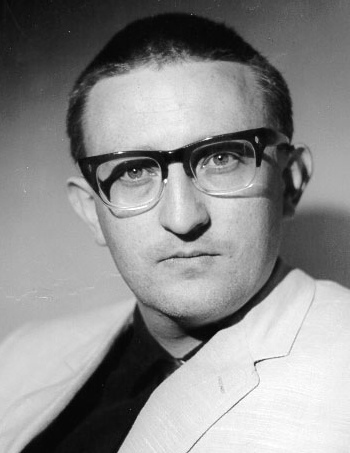 Among his undergraduate students was Peter Dixon, who topped the honours class in 1967, then left to pursue a PhD at Harvard. There he was befriended by another Australian graduate student, David Evans. Both Dixon and Evans were supervised by Wassily Leontief, the pioneer of input-output analysis, and both wrote theses on linear programming models of the economy. Returning to Australia in 1969, Evans was hired by Powell to help construct a larger model of the Australian economy, again solved by linear programming. In 1970 they were joined by Tony Meagher, an ex-physicist who managed the computing. Computational and political difficulties, together with a lack of resources, eventually overcame the small team, and Evans left for Sussex University in 1973. Meanwhile Powell had been searching for money and staff to support a much larger modelling project. In 1974 he recruited Dixon, then working at the Reserve Bank in Sydney. Dixon's thinking had by then evolved beyond linear programming, and towards a recognizably modern style of CGE modelling. Powell's search for funding bore spectacular fruit in 1975, with the formation of the Impact Project, charged with building economic models to assist policy-makers. The Project was governed by a consortium of universities and government agencies, chief among them the Industries Assistance Commission (formerly the Tariff Board, and later the Productivity Commission). Crucially for political independence, the generous funding flowed, not through one government department, but via a special budget item. A large staff was assembled in offices at St Kilda Road, Melbourne. Parallel teams worked to build (and, it was hoped, eventually link) four separate models: BACHUROO (a demographic model); MACRO (a time-series macro model; SNAPSHOT (a long-run multisectoral model, still solved using linear programming); and, ultimately most influential, ORANI (a medium-run multisectoral model, solved by percent-change linearisation). The last, ORANI, team, was headed by Peter Dixon, and included Dave Vincent, an agricultural economist from Melbourne University and another ex-physicist, John Sutton, who handled the computing. Elvine Moore (later Elvine Sullivan) and Frances Peckham, both at CoPS in 2008, joined the group at this time. 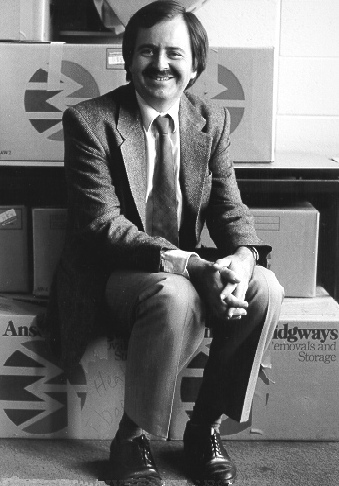 Brian Parmenter, a young English economist who had worked briefly at La Trobe and Melbourne Universities, was recruited in 1976. By 1977 ORANI had become a useful working CGE model, documented as Volume 2 of the Impact Project's First Progress Report. By 1978 there had been a change in the Australian political climate, and the Project's funding was reduced. Most of the team took other jobs, at the Industries Assistance Commission or elsewhere. Meagher, who had completed a CGE-based Phd while working part-time at St Kilda Road, joined David Evans in Sussex. Dixon became Professor of Economics at La Trobe, and was soon joined by Brian Parmenter and Elvine Moore. 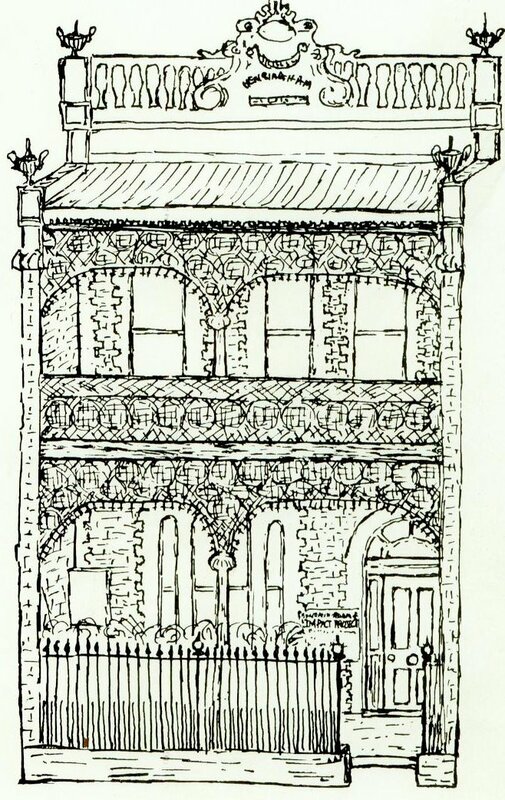 The down-sized Project, still led by Alan Powell, was re-located to a Victorian terrace house close to (and owned by) the University of Melbourne. Powell formally left Monash, and was appointed by Melbourne as the Ritchie Professor of Economic Research. A period of consolidation ensued. Dennis Sams and Pamela Williams continued to develop the BACHUROO model. BACHUROO and ORANI were documented and standardized; both were hosted on the public CSIRONET computer network, and could, in principle, be used by any Australian. Complementing this open-access model were training courses; 7 had been held by 1984, a tradition which continues to this day. The La Trobe group were frequent visitors to the Impact Centre. 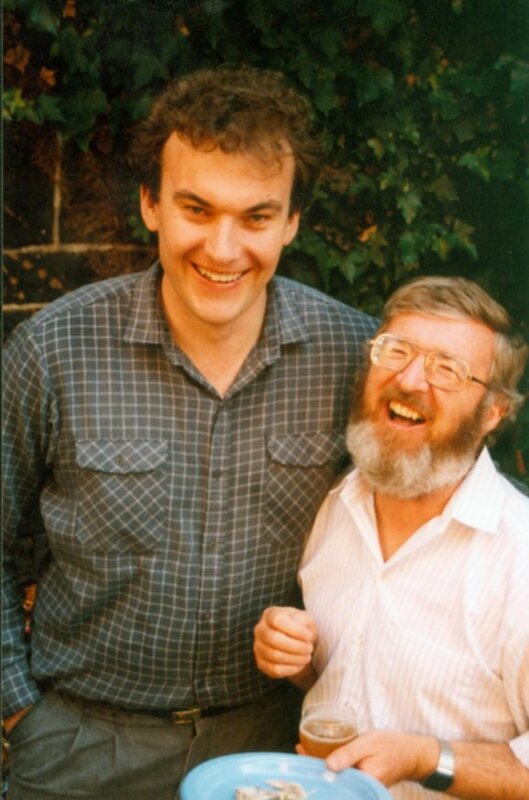 Peter Dixon, Brian Parmenter and Tony Meagher (returned from Sussex in 1981) continued to develop the ORANI model, joined by several academics they met at La Trobe -- including the mathematician Ken Pearson. Pearson suggested that sparse matrix techniques might be used to solve ORANI more quickly, and began to develop the GEMPACK software system. Another milestone was the publication of the ORANI 'Green Book' by North-Holland in 1982. Government agencies supported Impact by outposting junior staff to Melbourne, such as Mark Horridge and Philip Adams. These participated in an active post-graduate program, which also included Lynne Williams, Leong-Hoe Liew and Peter Higgs. Several academics from other universities, such as Ken Clements, Russel Cooper, Keith McLaren and John Madden worked closely with the Impact Centre. Louise Pinchen joined the group during this period. ORANI was used frequently at the Industries Assistance Commission to model new policies, especially tariff reductions. A number of special purpose versions were developed, such as ORANI-Wine. However, in this pre-PC, pre-GEMPACK, era (punched cards were still used), any changes to the model required the assistance of a computer programmer. In 1984 the University of Melbourne appointed Peter Dixon as the new Director of its prestigious Institute of Applied Economic and Social Research (IAESR), which had been leaderless for some years. The choice caused public controversy, partly because it seemed to represent a defeat for the pro-tariff lobby once strong in Melbourne, and partly because the IAESR had hosted the IMP economic model, a rival to ORANI. Most of the IMP modellers left the IAESR to form their own centre, and were replaced by members of the Impact Centre and Latrobe groups. The IAESR and the Impact Project were re-housed together in the Baldwin Spencer Building (above) which they shared with several possums. The two groups worked closely, but under different funding models. The IAESR had inherited several commercial products, such as the Index of Consumer Sentiment (managed by the tireless John McDonell), the Leading Indicators of Dr Ernie Boehm, and the macro-forecasting framework of Daina McDonald. Dixon extended this activity, creating subscription-based economic forecasts (based on ORANI), and consulting on a variety of projects. Meanwhile The Impact Centre continued a more academic program, but also hosted the development of GEMPACK, now emerging as a commercial product. New recruits from this period included Maureen Rimmer (who had completed a Maths PhD under Ken Pearson), Michael Malakellis and Matthew Peter. 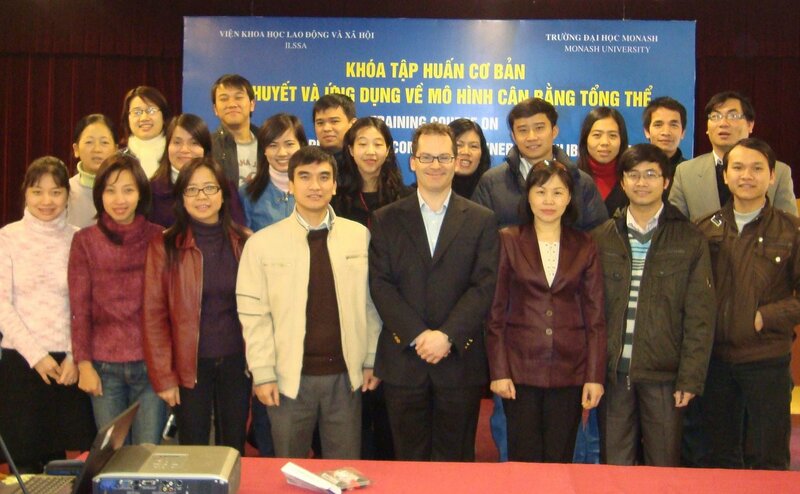 Fulbright fellow Tom Hertel visited for 9 months during 1990-91, while planning the GTAP network. He adapted several of Impact's key ideas: modelling as a team activity; the goal of model transparency; the program of training courses; and the use of GEMPACK software. Two CGE modelling developments of this period were: the specification of models using the TABLO language only -- ending the need for programmers to write model-specific code; and the transition from comparative-static to dynamic models. PCs at this time were still too weak for serious modelling: VAX or similar central computers were used. 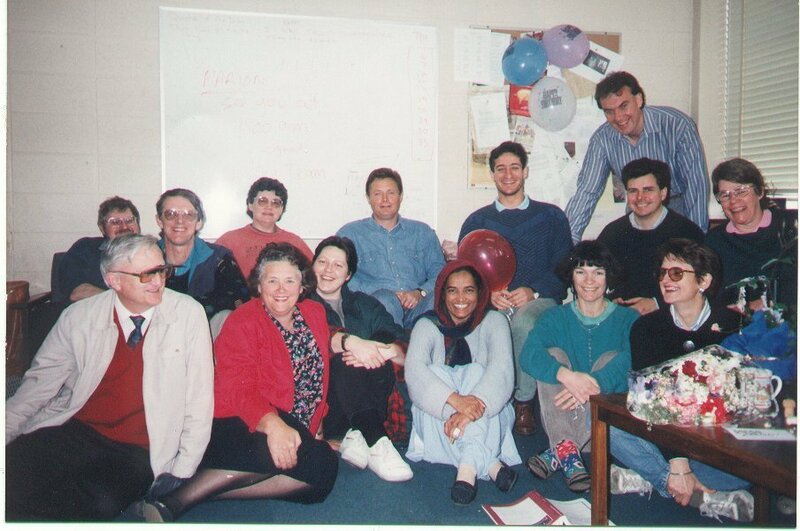 In 1991, Peter Dixon and most of the CGE modellers at IAESR left Melbourne University and moved to Monash University, taking over the dormant Centre of Policy Studies (CoPS). The following year, they were followed by the Impact Centre, which merged with CoPS. As at IAESR, work was financed by a mixture of grants and contract research, centred around the newly developed MONASH model, a recursive-dynamic descendant of ORANI. New staff included Jill Harrison, who worked with Pearson to develop GEMPACK. The group was swelled by graduate students, some inherited from Melbourne University, such as Matthew Peter and Michael Malakellis (who later became employees), and some fleeing Sydney University. Another student was Terrie Walmsley -- who later directed the GTAP centre. Developments of the period included: the transition to PCs for modelling work, aided by new tools (like ViewHAR) which aided numerical visualization; the revival of regular training courses, now based on a Windows computing environment; and an emphasis on regional CGE modelling, leading to the MMRF and TERM frameworks used today. 1996 commenced a period of personnel change; Malakellis and Peter left to join a Brisbane finance company set up by Peter Higgs (a student of Peter Dixon during the La Trobe period). 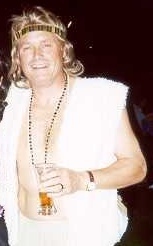 Brian Parmenter joined them in Brisbane in 2000. 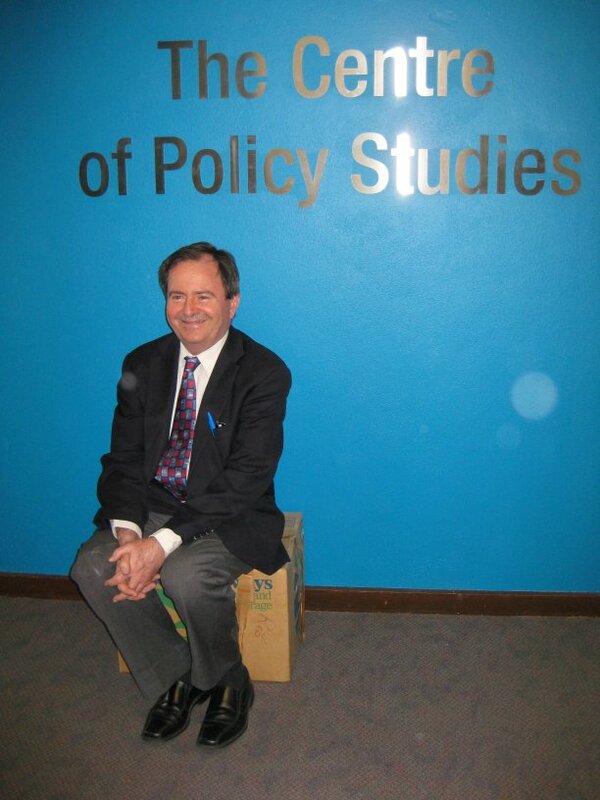 In the same year Alan Powell formally retired -- but continued as an Emeritus Professor. Several new staff were appointed, including John Madden and James Giesecke (from CREA, the Tasmanian Centre of Regional Analysis), Glyn Wittwer (from Adelaide), Mark Picton and YinHua Mai. Daina McDonald retired in 2003. Meanwhile Maureen Rimmer and Peter Dixon focussed on a large new model of the USA (called either USAGE or Monash-USA). Philip Adams replaced Dixon as CoPS director in 2004. Jill Harrison retired in 2006, and was replaced by Michael Jerie (a maths PhD from La Trobe). Ken Pearson went part-time in 2007, and Mark Horridge took over as Director of GEMPACK Software. Former PhD students Nhi Trang, Xiujian Peng and Ashley Winston became CoPS staff. While at Monash, CoPS created many international links, visiting and building CGE models for Brazil, China, Denmark, Finland, Indonesia, Ireland, Italy, Japan, Jordan, Korea, Malaysia, Pakistan, Papua New Guinea, Philippines, Poland, South Africa, Taiwan, Thailand, United States and Vietnam. Training courses were held in most of these countries. Some of these projects are described here. Each year saw one or two PhDs completed. In early 2014 the entire CoPS unit moved to Victoria University, in central Melbourne.